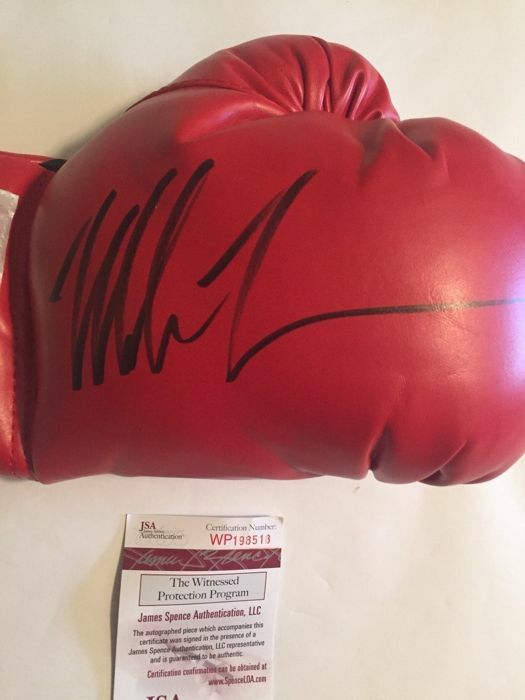 Mike Tyson Autogramm übergab Everlast Handschuh JSA erlebt COA USA rechten von Legende HOF unterzeichnet. 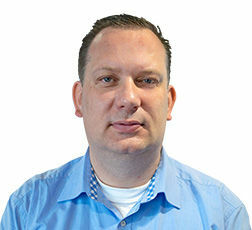 Kein Mindestpreis! This is a excellent Black Everlast boxing glove by the legend. Tyson the first heavyweight boxer to simultaneously hold the WBA, WBC and IBF titles, and the only heavyweight to successively unify them. The glove is in mint / new / perfect condition, signed in Silver marker to make it more beautiful. The signature is nice, big and in perfect condition. 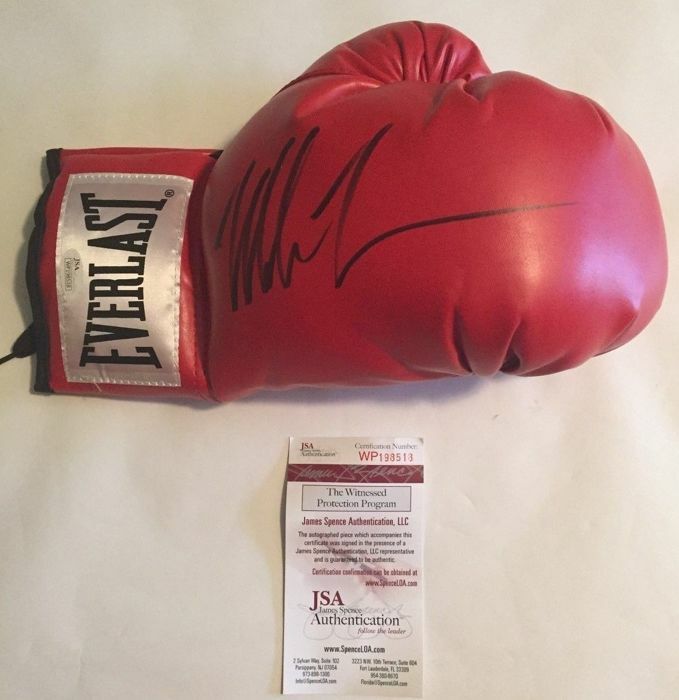 This Everlast Glove was signed by Mike Tyson at a private signing session, in the presence of a JSA representative and comes with JSA COA Certificate of Authenticity, and they are World Leaders in this matter. 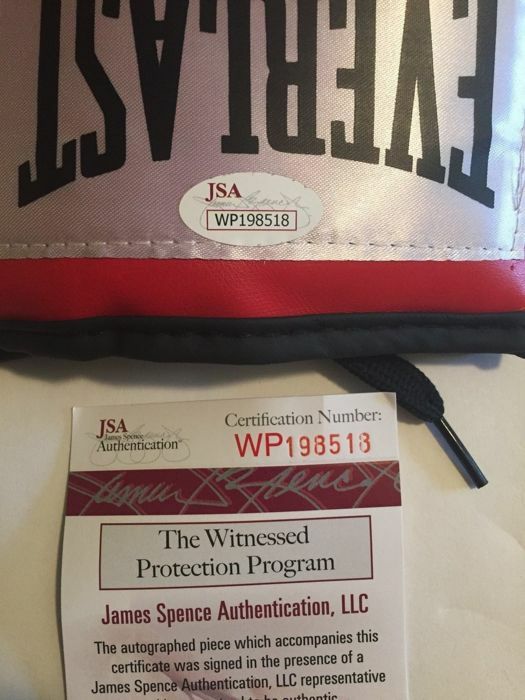 The Everlast Glove comes with a JSA Witnessed COA Certificate of Authenticity. Shipped Registered and with Tracking Number. Bien reçu. TB emballé et protégé. Merci. Quick service / Nice follow up! Incorrect feedback. Item shipped the next day after payment. livraison rapide et article conforme à se qui étais prévu. vendeur sérieu que je recommande. Le colis est bien arrivé,mais malheureusement, l'objet ne correspond pas à l'état neuf des photos,ballon dégonflé,emballage déchiré sur plusieurs points,heureusement l'autographe est sauvegardé. We’ve been shipping basketballs, soccer balls, footballs, etc. for many years. We ship them partially deflated in a large flat rate priority box. Perfect delivery. Well packed and received within 6 days.Many thanks!!! Hervorragend! Gerne wieder! Danke für schnelle Lieferung!